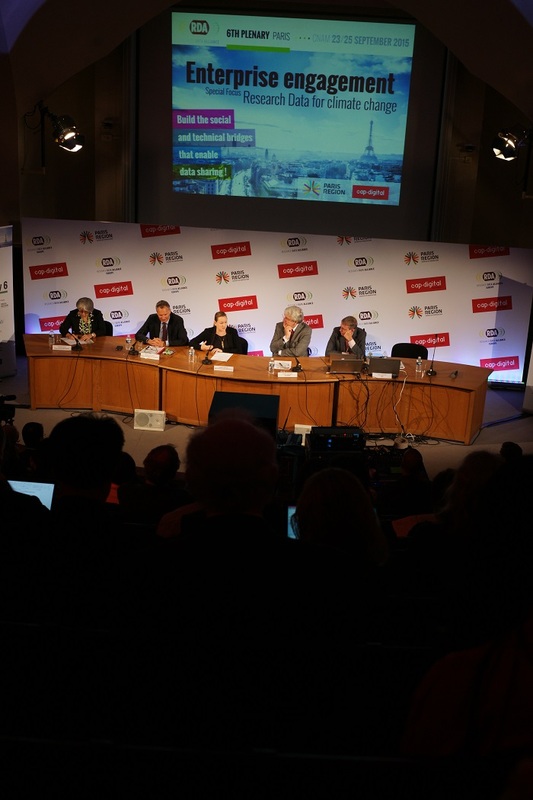 The Research Data Alliance recently met in Paris for the RDA Sixth Plenary Meeting. As well as working on ways to overcome the many barriers that currently exist for research data sharing, RDA members heard speeches from senior policy makers on the important role data has to play in tackling many of society's greatest challenges. The Research Data Alliance (RDA) is a global organization that works to improve data sharing. While 'enterprise engagement' was the theme of the recent RDA Sixth Plenary Meeting, there was also a strong focus on climate change. There is good understanding among policy makers of the importance of improving sharing and preservation of research data. Progress is being made in building the 'social and technical bridges' that will enable this. Today, more and more of science is driven by data. And, as society enters the era of big data, it is no longer just research that is affected by this phenomenon — all of our lives are touched. The Research Data Alliance (RDA) is a global organization — supported by funding bodies in Europe, the US, and Australia — that has been established to improve data sharing for research. The organization describes itself as ‘building the social and technical bridges that enable open sharing of data’. Its vision is to help create a world in which researchers and innovators can openly share data across technologies, disciplines, and countries to address the grand challenges of society. 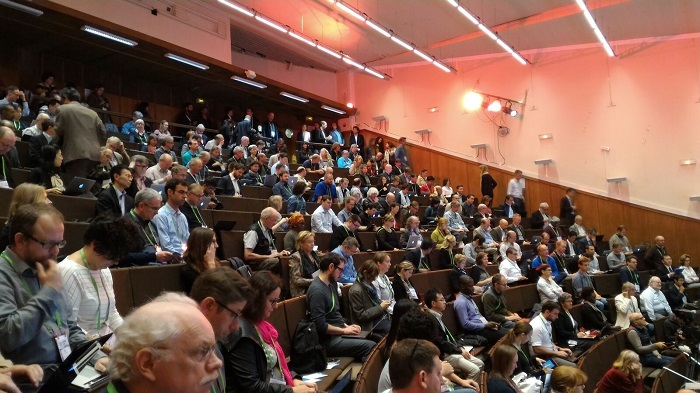 From 23 to 25 September, around 700 people — including IT specialists, researchers, educators, data practitioners, librarians, policy makers, and more — gathered in Paris, France, for the RDA Sixth Plenary Meeting. The organization itself has now grown to include over 3,300 members since its launch in 2013. Mark Parsons, secretary general of the RDA, describes climate change as a “poster child” issue for the sort of grand challenges the organization is tackling in terms of data sharing. “Climate change is a hugely complex, interdisciplinary challenge, with data sets from many different fields needing to be integrated in order to take effective action,” explains Parsons in an in-depth interview with The Science Node. the 21st Session of the Conference of the Parties to the United Nations Framework Convention on Climate Change (often known simply as ‘COP21’) now just two months away, the RDA Sixth Plenary Meeting also had a special focus on climate change. 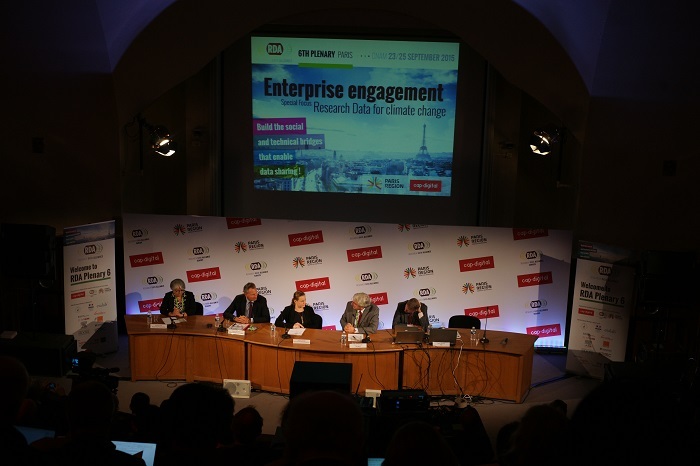 The RDA — working in conjunction with Cap Digital, a French business cluster for digital content and services — organized a special ‘Climate Change Data Challenge’ at their recent event. This challenge was designed to connect climate-related datasets with organizations and companies (of all sizes) that may have a practical application for the data. Participants in the challenge were asked to demonstrate novel ways of integrating diverse data — in order to address real and developing problems emerging from rapid climate change — using technologies, systems, or practices developed by the RDA. Entries were judged on the novelty of their approach, the range and diversity of the data used (from both natural and social sciences), and the use of RDA technologies and practices. Plume Labs, a French company that aims to helps citizens understand more about and lower their exposure to harmful air pollution, were one of the three finalists of the challenge. 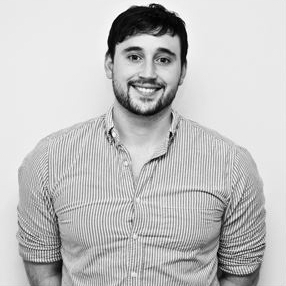 They, along with the two other finalists (Vizonomy and the BioVel project), will now be given the opportunity to present their work at the COP21 event. Of course, while Parsons and other RDA representatives are passionate about tackling climate change, they are keen to point out that the organization's work is expansive. The RDA is working to improve data sharing across a wide range of research domains. 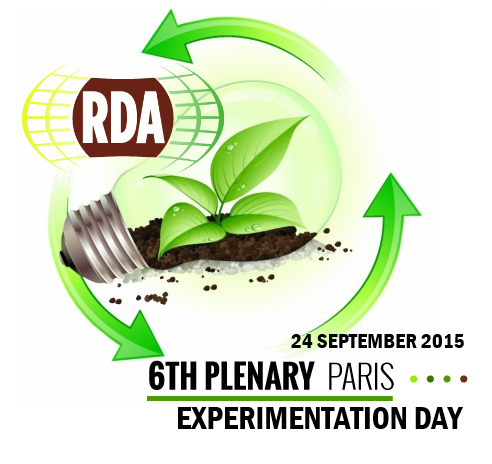 At the RDA Sixth Plenary Meeting, the organization released its latest set of outputs. These deal with issues surrounding a diverse range of topics, such as persistent identifiers, data-type registries, metadata standards, terminology, and much more. They are listed in a booklet published at the event. One of the highlights of the event was a speech given by Axelle Lemaire, the French secretary of state for ‘digital affairs’. She stressed the importance of standards — not just for data, but for all fields — and praised the RDA for its choice of climate change as a special focus topic for the event.